This duo of Sofie Herner and Sewer Election's Dan Johannsson is probably my favorite project to emerge from Sweden's flourishing underground in recent years. När, their third album, was originally released on vinyl back in 2017, but I believe it only became widely available in digital form this spring. 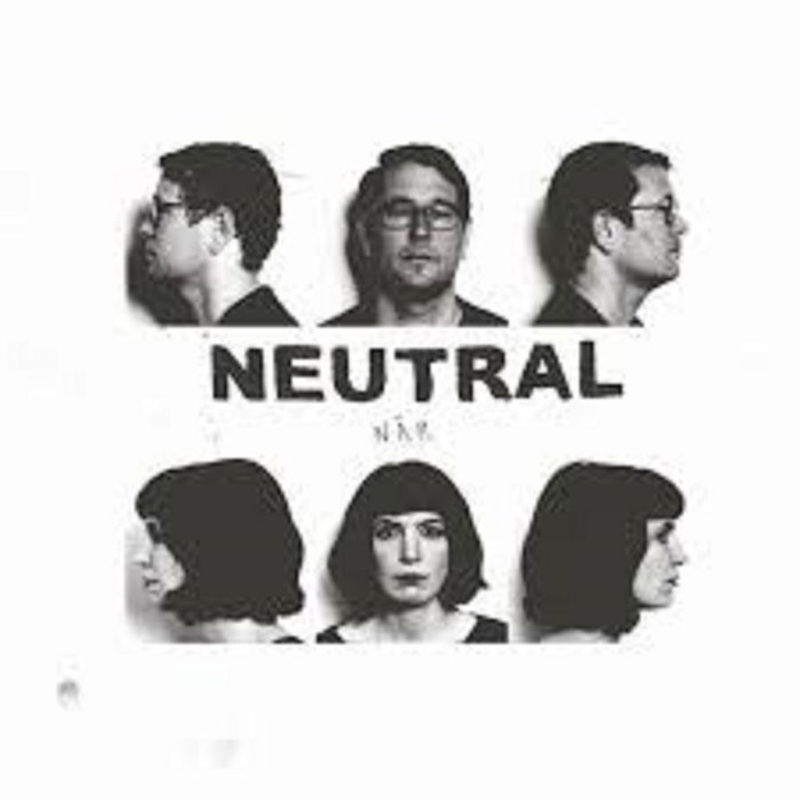 While Neutral's aesthetic has certainly evolved over the years, Herner's idiosyncratic and oft-creepy lo-fi pop experiments and Johannsson's noisy textures always combine to form something stranger and more compelling than the sum of their parts. I suppose Neutral's closest kindred spirits are probably The Shadow Ring, but the best moments on När sound more like an surreal and intimate answering machine message or a ransom note delivered in the form of a blurry and distorted VHS tape. Neutral's approach to songcraft is quite a fascinating one, particularly when I factor in that both Herner and Johannsson are also involved in the Jandek-ian outsider folk of Enhet för Fri Musik. During the more gnarled and dissonant passages, the overlap between the two projects makes perfect sense, but some of Herner's songs sound like sultry bedroom soul that made a catastrophic wrong turn on its way to being seductive. The opening "Du" very much falls into that category, as Herner intones a breathy monologue over a bubbling synth hook. In fact, there is even a chorus. If those components were handed over to a professional studio, I suspect a credible pop song could probably emerge. Naturally, Neutral have the opposite plan in mind. For one. Herner sounds like she is singing into a boom box. 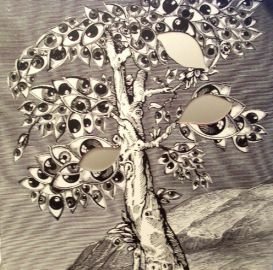 Also, an intrusively oscillating and pitch-shifting drone makes the piece feel vaguely feverish and hallucinatory. Clearly not satisfied with their destruction, the duo then steer the piece into a murkier second half entitled "Ater" that rides pulsing drones into a crescendo of snarling guitar noise. No one would mistake the following "Köldgatan" for a pop song, however, as it is little more than a ghostly haze of drifting vocals and warbling feedback over a wobbly tape of a primitive drum machine beat. The first half of the album is then rounded out by "Inte Vara Rädd," which combines a woozily chorused bass line with erratic snatches of very conversational-sounding vocals. It sounds a lot like a would-be Slits or Raincoats classic that has been sucked dry by a vampire, then ripped apart by searing squalls of guitar noise. The album's second half opens with "Berg 211," a piece that I find to be weirdly and perversely brilliant. As far as the actual sounds are concerned, it is straight-up noise, but it somehow also feels haunting and rather beautiful by the end. For the first half, Herner distractedly chats away over a throbbing and stuttering squall of white noise, but the storm unexpectedly gives way after a few minutes to leave a languorous blown-out bass groove amidst a hissing sea of tapes and screeching treble. Despite all the grinding dissonance, the piece somehow holds together as Herner shares a sultry monologue in Swedish that is punctuated by conversational asides and laughter as well as vaguely eerie recurring passages (in English) about the springtime in the back of her mind. The following "Brott/Bellevue" then returns to the inscrutable pop-like formula of the opener, as Herner confessionally whispers in Swedish over a slow-motion chord progression of wobbly organ chords. Again, there are snatches of something resembling a chorus, as well as some surprisingly melodic organ soloing. At the halfway point, however, it becomes slowly engulfed by a rumbling, hissing, and cryptic tide of field recordings courtesy of guest Matthias Andersson. När then comes to end in characteristically enigmatic fashion, as "Rastplats" is a brief, melodic, and structured organ piece that is smeared into something blearily hallucinatory by Johannsson's genius for tape distress. I suppose "Berg 211" is the only piece on När that truly hits the mark for me, but I am very much intrigued by Neutral's shifting, corroded, and precarious aesthetic. I suppose this album scratches roughly the same itch as some of the better Croatian Amor albums, in that both projects involve noise artists finding a way to merge melody, tenderness, and warmth with chopped-up tape experiments and a healthy dose of entropy. Of the two projects, however, Neutral is definitely the more unknown quantity, as both Herner and Johannsson each seem to bring a strong vision to the project and there is no telling what will emerge each time they collide anew. Hell, Herner by herself seems equally likely to whip up a cacophonous firestorm of guitar noise, make a bedroom soul album, front a great No Wave band, or wander off into a deep forest to make a ritualistic folk album. That is what hooks me, I suppose: I have no real idea of where Herner and Johannsson are going with this project at all, but I know it will likely pass through some unique and memorable terrain every time it surfaces. The world is full of reliably great artists, but it is the outliers like Neutral that keep music exciting for me.